By Kristin Masters. May 24, 2018. 9:00 AM. Roth grew up in Newark, New Jersey, the son of first-generation American parents who were Jews of Galician descent. His family's heritage and his childhood in New Jersey featured prominently in many of his literary works. Indeed, Roth's writing is often highly autobiographical. His first marriage to Margaret Martinson, for example, heavily influenced his female characters in several novels including When She Was Good (1967) and My Life as a Man (1974). When Roth published his first book, Goodbye, Columbus, in 1959, the work immediately earned critical acclaim. The novella and collection of five short stories won Roth the National Book Award in 1960. He then ventured into novel writing with Letting Go (1962) and When She Was Good (1967). But it was Roth's next novel, Portnoy's Complaint (1969) that achieved both critical and commercial success. The novel pushed Roth to the forefront of American literature. Over the following decade, Roth would experiment with various genres like political satire in works such as Our Gang (1971). He would later address aspects of politics in I Married a Communist (1998), The Human Stain (2000), and The Plot against America (2004). During this period Roth also developed recurring character Nathan Zuckerman, who showed up in several novels and made his final appearance in Exit Ghost (2007). Over the years Roth has remained incredibly productive; his 31st book, Nemesis was published in October, 2010. It was the fourth in a series that includes Everyman, Indignation, and The Humbling. In total, Roth has earned the National Book Award twice and has been named a finalist four times. He is the only author to win the PEN/Faulkner Award three times, and the first to win the PEN/Saul Bellow Award. His novels have earned two National Book Critics Circle Awards, and another five were finalists. 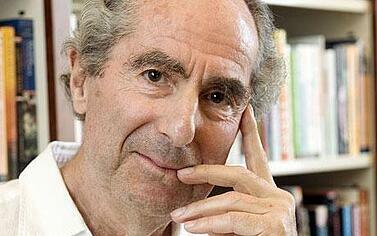 Roth earned the National Book Foundation Medal for Distinguished Contribution to American Letters in 2002. Among his most recent accolades was the 2011 Man Booker International Prize. The list of awards goes on and on. Remarkably, Roth's output was as legendary 40+ years in to his career as it was early on. The fact that he continued to produce award-winning, influential work is a testament to his skill as a writer and thinker. Indeed, although he was passed over for a Nobel Prize in Literature, it's safe to say Roth and his body of work with live on in those who continue to read and collect this remarkable author.